It’s all here—the rugged beauty of the mountains, the boundless depths of the lakes, and hiking trails that go on forever. 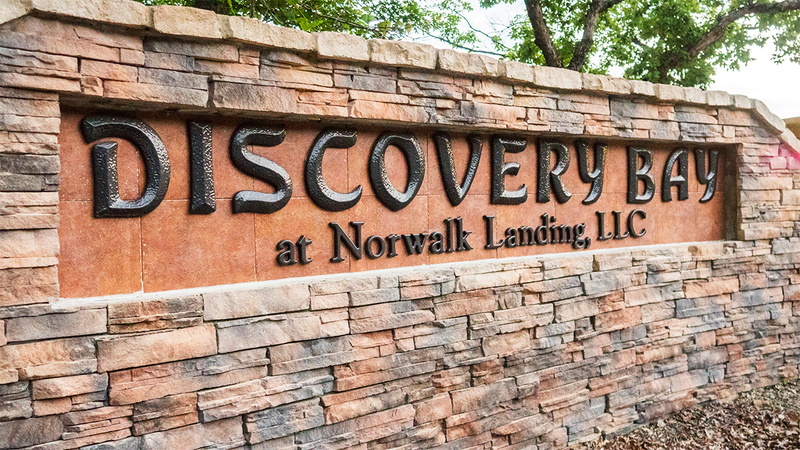 Discovery Bay at Norwalk Landing was designed for aviators, boaters, fishermen, and every kind of outdoor enthusiast. 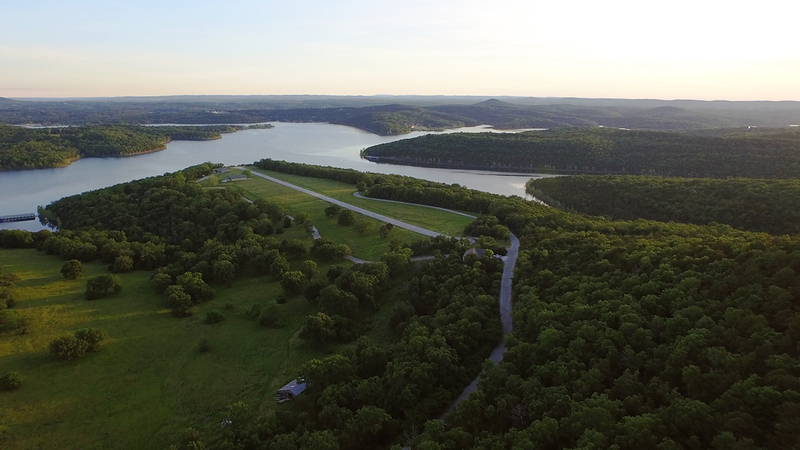 Surround yourself with the abundance of Table Rock Lake, enjoy access to a private on­site airstrip and marinas, and rest assured you’re only a short drive from Branson, Missouri. 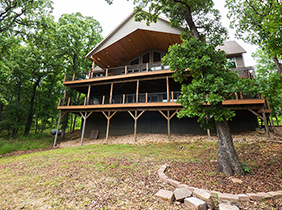 Now is the time to realize your dream of owning the ultimate vacation home. At Discovery Bay, you will find unique lots with all the services and amenities. Discovery Bay is a gated community with over 180 lots—all prepped with water, sewer, and underground electric. Many of the lots are on the water, most with gentle slopes. 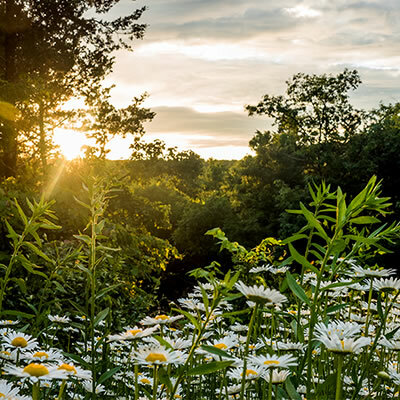 Wake up each morning surrounded by nature’s wonders. 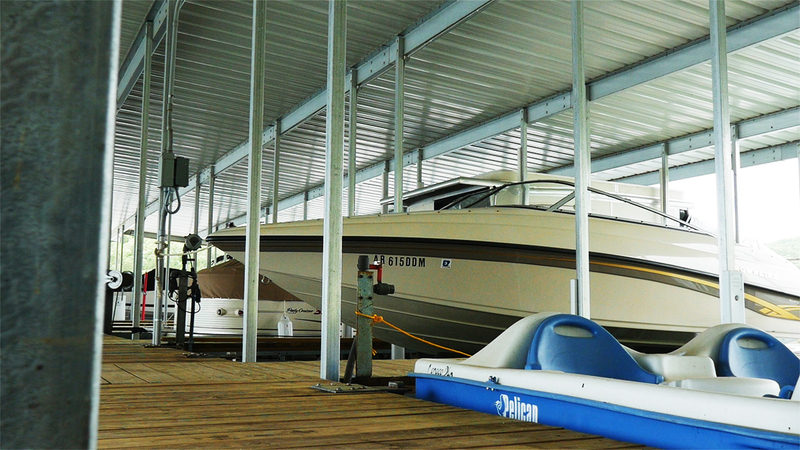 She provides ample boating and fishing opportunities. Or take a road trip and experience world-class shopping and entertainment. 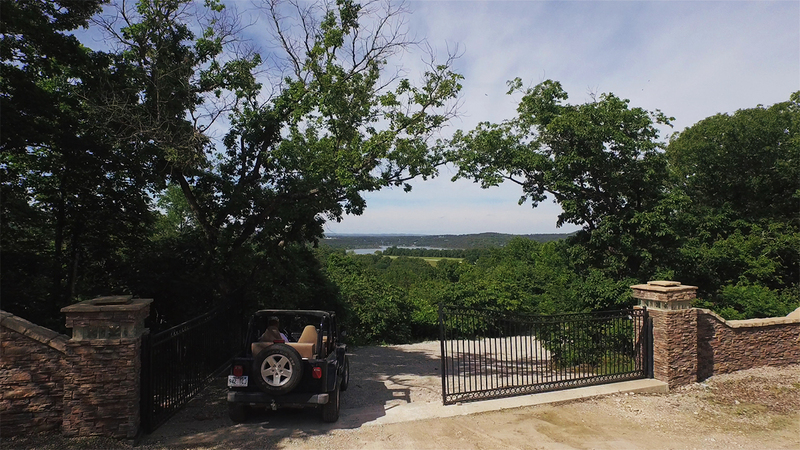 The property is a short distance from Shell Knob and a scenic drive from Branson, Missouri. With so much to do, you will never tire of this destination! Lot prices start at just $45,000. And private financing options are available for qualified applicants. Our community is all about convenience. 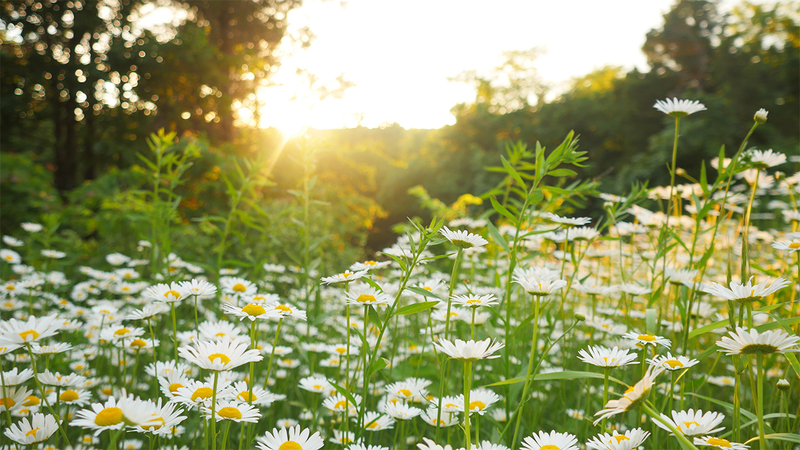 We make it easy for lot owners to enjoy ample outdoor opportunities at or near Discovery Bay. 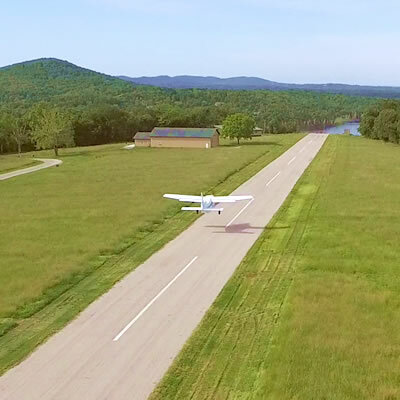 One of the most unique features of the property is the on-site, private airstrip. 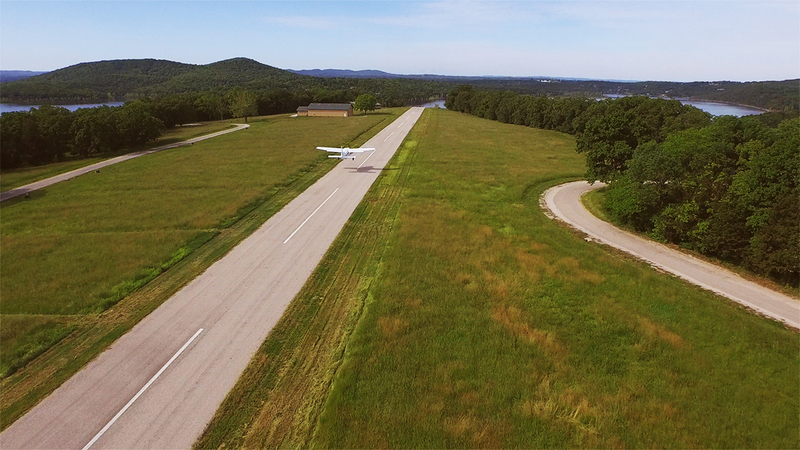 The 2,300 foot asphalt strip (south to north) is perfect for small passenger airplanes. With easy access to hangar lots, many weekend getaways lie ahead. 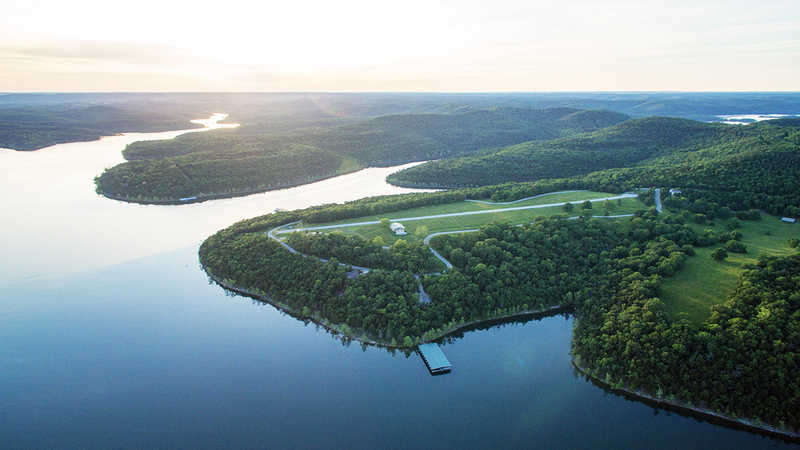 Boat slips are located on the main channel of Table Rock Lake—one of the top bass fishing lakes in North America. 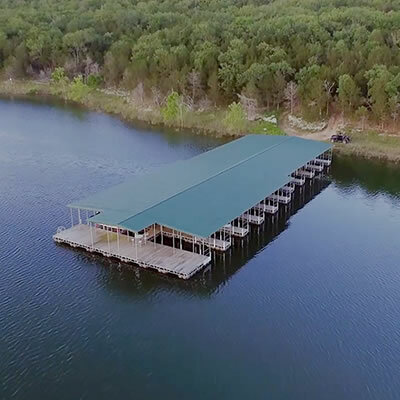 This lake also boasts an abundance of crappie, catfish, and bluegill. Enjoy a day of boating, fishing, and watersports. Easily boat to nearby restaurants and other services. Or plan your trips to coincide with our many professional fishing events. 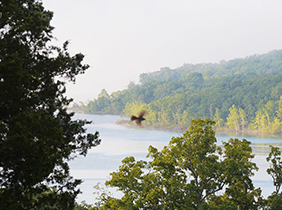 Outdoor enthusiasts enjoy easy access to the lake and area nature trails. 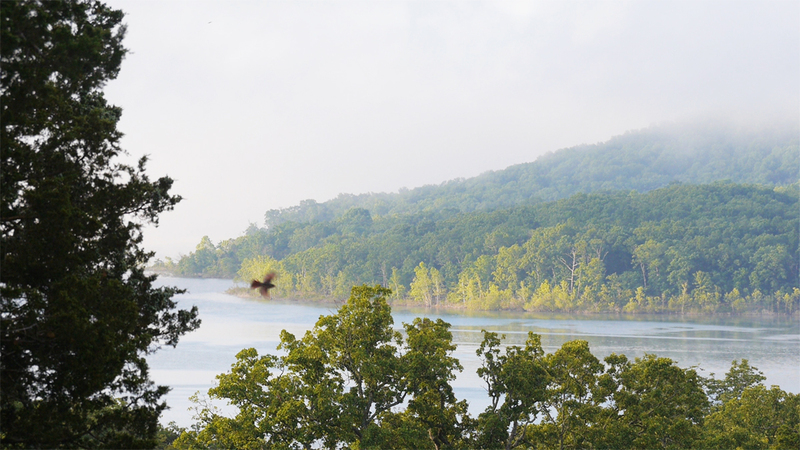 The Mark Twain National Forest and the Ozark Mountains provide a natural playground with hiking, biking, horseback riding, wildlife, and more. 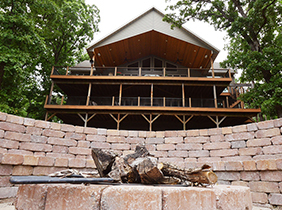 With so many home features and finishes, building a custom home allows you to get exactly what you want. 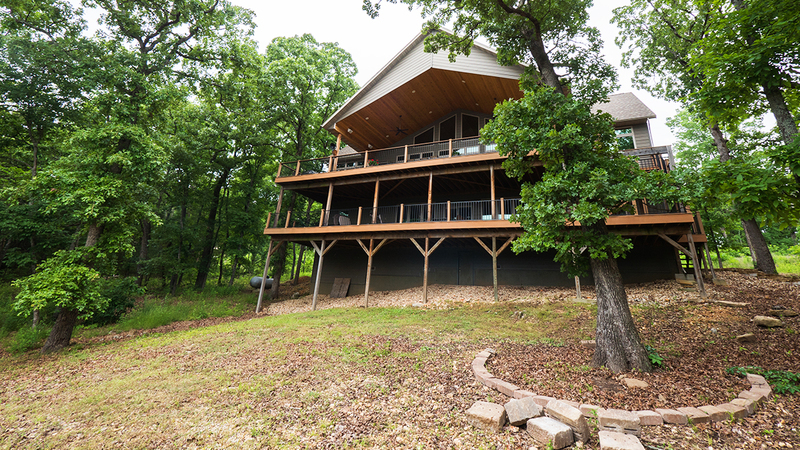 We can recommend several contractors who are ready to help build your dream retreat. 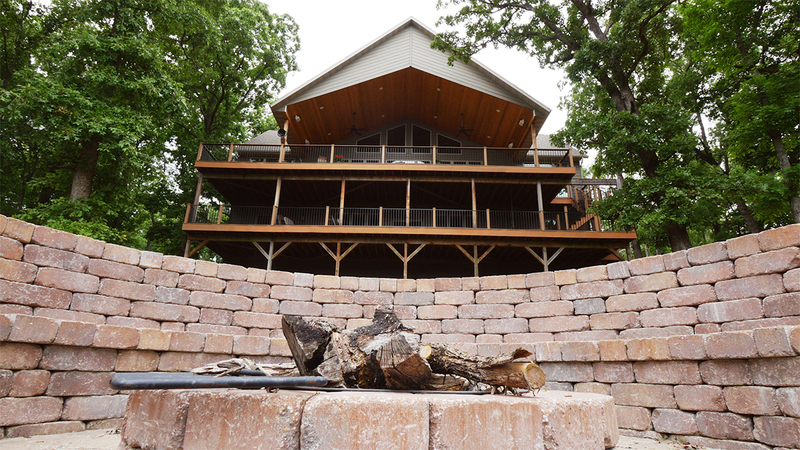 You can also bring your own builder or contractor—no restrictions. How far away are local golf courses? With a golf course about a 10-minute boat ride across the lake in addition to nearby country clubs, there are plenty of golf opportunities within boating or driving distance. What do I need to know about the runway? 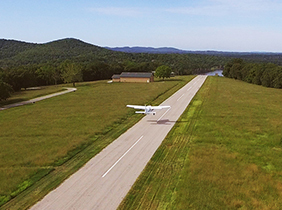 Our 2,300-foot runway is federally registered, making for easy navigation. Our private airstrip is located in the middle of the development and is ideal for small, private aircraft. Do I need to build right away? Build times are at the buyer’s discretion. One benefit of securing a spot now and building later is that the area has virtually no holding costs. Property taxes are minimal. The best time to buy is when you’re ready. 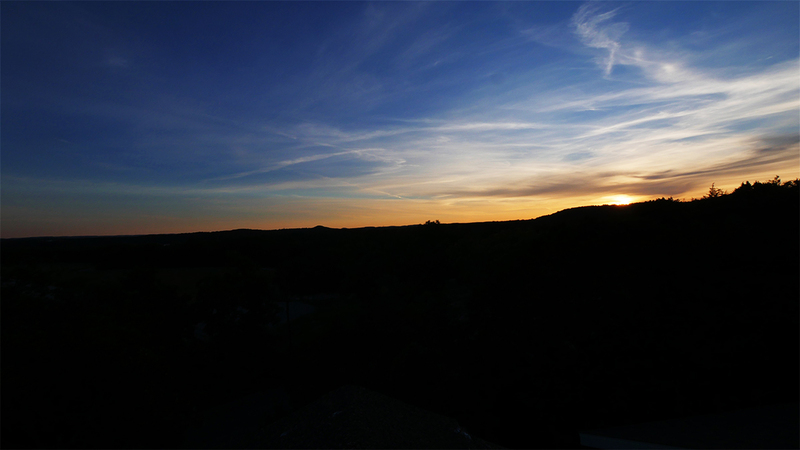 The busiest time in the area is the onset of spring, which begins late February or early March. 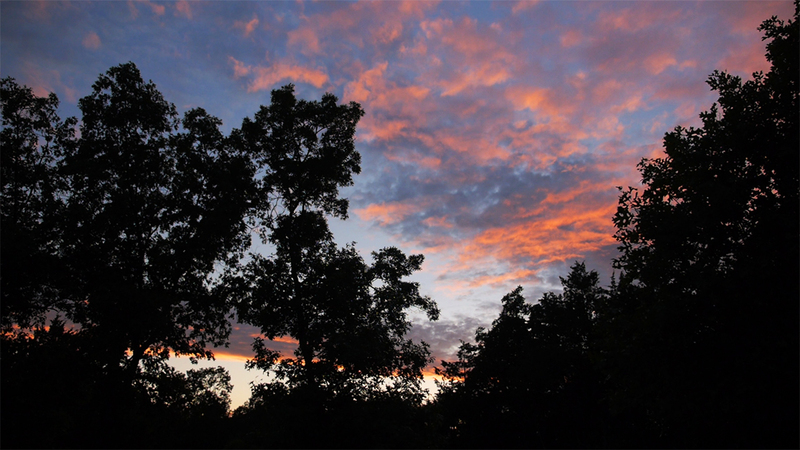 Summertime, which spans May through early October, is also a good time to occupy the area. April and May bring fishing tournaments as well. So if you wish to watch or participate and have a place to stay for years to come, plan ahead. Is Discovery Bay family freindly? Absolutely! Discovery Bay has that wholesome, down to earth, laid back vibe. It’s a great vacation area for families. 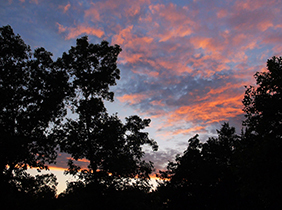 Surrounding areas have very low crime rates, and community residents are pleasant to be around. Kids love fishing on the lake and being out on the water wakeboarding and tubing. 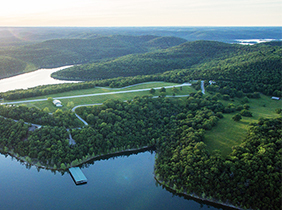 Table Rock Lake is a warm water lake—so the water is perfect for all ages. For your added comfort, entry into Discovery Bay from the road is through code access security gates. Can I build a hangar off the airstrip? Land in your backyard, taxi your plane, and park in your own hangar. You can build a hangar in the lots adjacent to the runway or build a hangar home. Aircraft must be stowed in hangar when not in use. What's the best way to get to Discovery Bay if not by private airplane? Discovery Bay offers year round recreation opportunities. 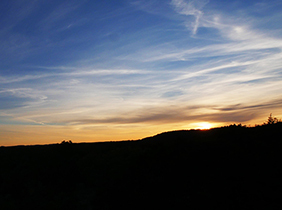 The optimal time to stay is May through August when temperatures reach 80 or 90 degrees Fahrenheit. Fall is beautiful—when the lake is serene and the trees turn color. The winter months are also mild. The ground doesn’t freeze around here. Temperatures may drop to 40 degrees and it occasionally snows, but there is no need for a shovel ever! Many longtime area residents also golf nearby year round, too. What is the development landscape like? 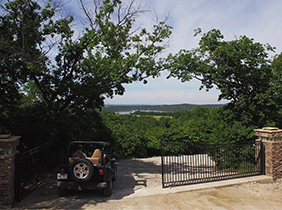 The property is carved around oak trees and cedar forest for beautiful panoramic views. While we had to clear timber to make way for the air landing strip, our developers tried to leave as much natural growth as possible. 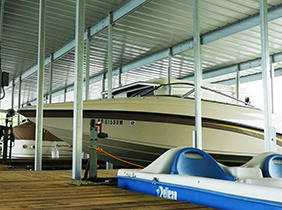 You’ll also have direct access to the lake and boat slips. 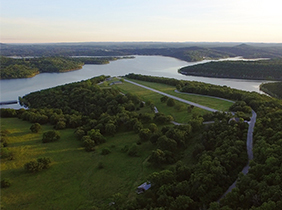 Table Rock Lake has retained its natural boundaries and ecosystem, so Discovery Bay feels like a quiet retreat. Will someone maintain my property? Homeowners are responsible for maintaining their property. 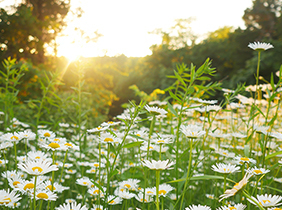 Residents are free to hire landscape and lawn maintenance services. Roads leading to the neighborhood from the surrounding area are publicly maintained roads. 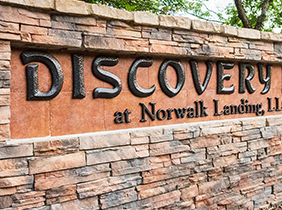 When entering Norwalk Landing, the HOA maintains the private roadways, common property such as the boat slips and runway, and water and sanitary sewer services to the lots. How can I finance my vacation home? Private financing options are available. Contact us to learn more.